Product prices and availability are accurate as of 2019-04-18 17:47:44 UTC and are subject to change. Any price and availability information displayed on http://www.amazon.com/ at the time of purchase will apply to the purchase of this product. Never hear "Are we there yet?" 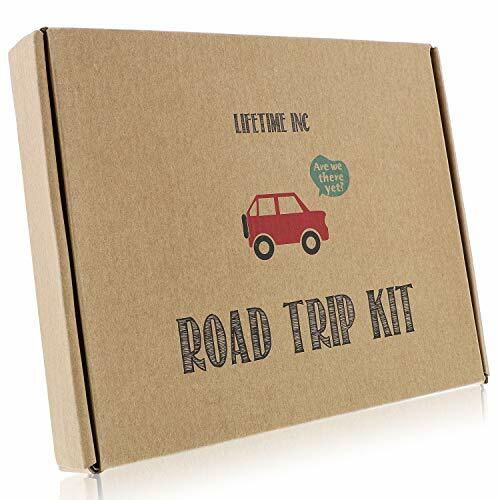 with our complete Road Trip Kit! Everything you need for hours of entertainment for kids or adults...all in one box. Moms and dads love this kit because there are no small pieces to keep track of or find under seats. There is also no need to buy 5 different games/kits/activities-all the popular games are included and reusable! Games come with instructions as well as helpful travel hints. Separate these would cost over $50 but its bundled here for convince and ease. We include 2 sets of the games for siblings or travel mates. 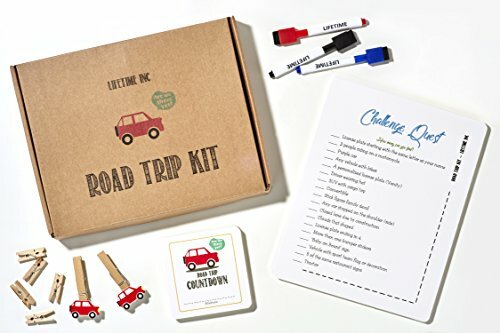 Keep kids busy and happy during your travels with this first of its kind complete kit. No need to buy multiple activities--everything you need to never hear those words every parent hates "Are we there yet?" Planning a trip is hard enough! Don't worry about keeping the kids entertained with this ready to go kit. 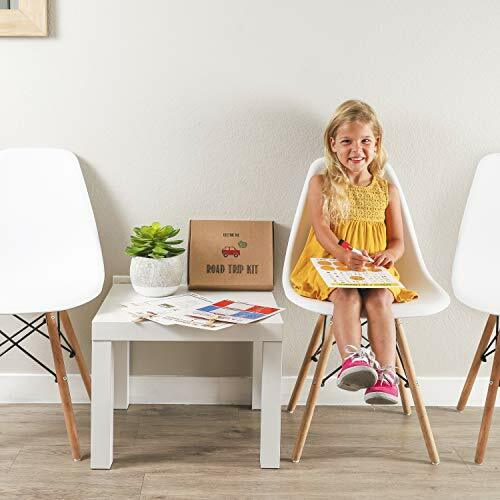 Comes with everything you need for hours and hours of fun and can be reused for other trips--even on the airplane, train, bus, cruise, or any adventure. 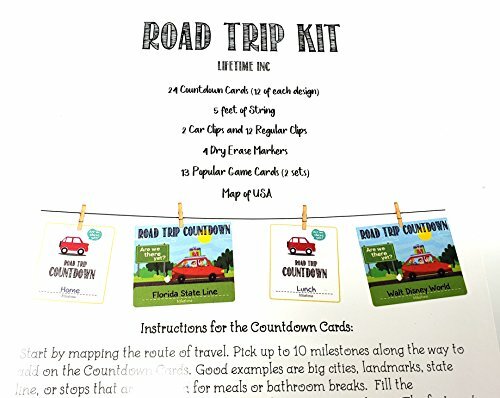 Comes with: COUNTDOWN CARDS-Great way to learn geography! 24 Fun, colorful (12 of each design) cards can be filled out so kids can follow along and know exactly when the destination will be reached. Reusable cards make traveling fun as landmarks and stops can be mapped out in a visual format for younger children. Kit comes with 5 feet of sting, wood clips to hang the cards, as well as instructions on how to use the countdown cards. All you need to do is fill them in and hang them up! 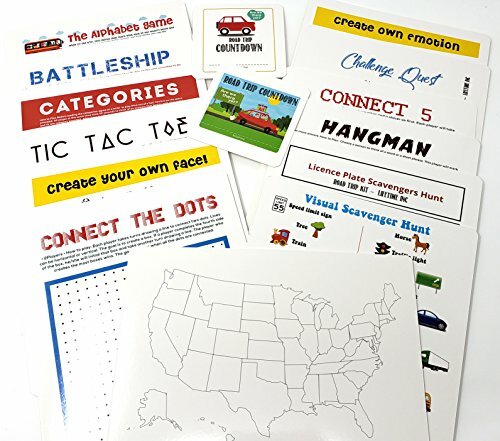 GAMES-2 sets of all the popular games are included: hangman, connect 5, battleship, dots, categories, license plate hunt, tic tac toe, the alphabet game, visual scavenger hunt (for toddlers who can't read), a challenge hunt (for teens, tweens, or adults), creating emojis, drawing faces, plus a blank map of the US. 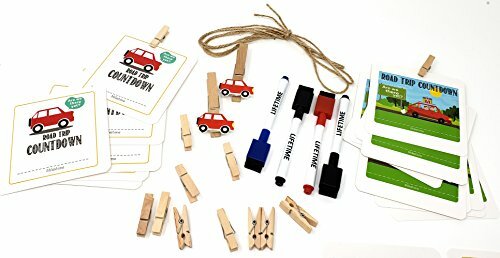 REUABLE-kit includes 4 dry eraser markers (2 black, 1 red, 1 blue), 5 feet of twine to hang the Countdown Cards, 2 sets of 14 reusable activities, 2 car clips, and 12 regular clips, all in a handy keepsake box. You wont find a better, all in one kit. You will love it or your money back!